Looking For The Best Rick and Morty Gifts in C-137? We’ve Got You Sorted! Wubalubadubdub! If you’re either on the hunt for something for yourself of perhaps looking to snap up some awesome Rick and Morty gifts for the Adult Swim fan in your universe, we’ve got a whole heap on offer! To help you pick out juuuust the right goodies for you, we’ve hand-picked some of our favourite items for you to snap up. Let the adventure begin! Ever tried to get out of doing something? Well, you’d have to get out of bed a whoooole lot ealier to compete with the levels Rick Sanchez will go to to avoid doing something he really doesn’t want to! Show your love for surely one of the greatest episodes of Rick and Morty (really saying something!) 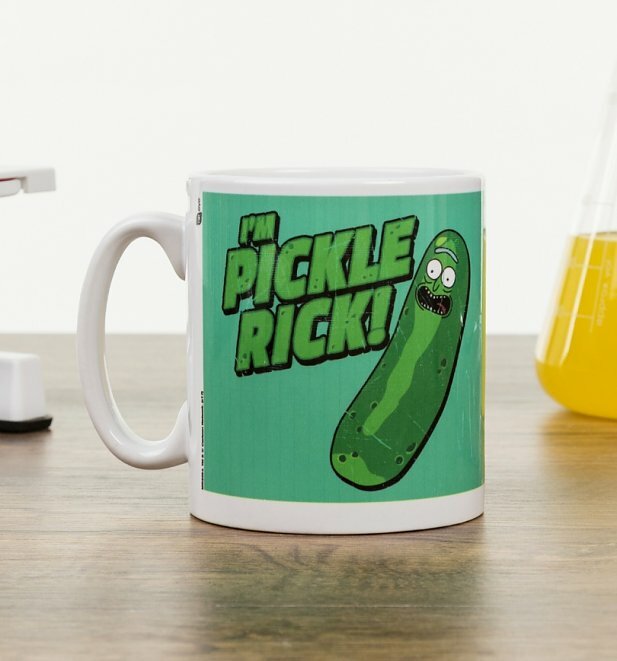 with our ace Rick and Morty Pickle Rick Mug. 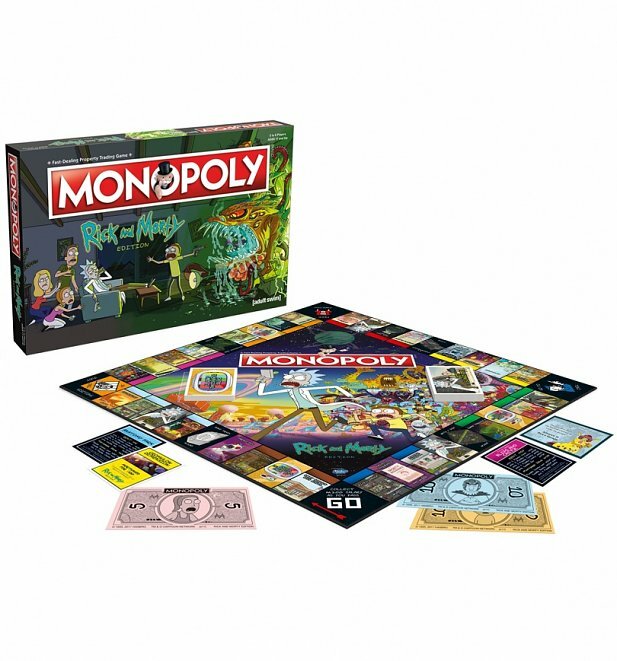 Wubalubadubdub it’s THE ultimate in board games… Rick and Morty Monopoly! We’re taking the iconic game to who new dimentions with this ace set. Sure to add some extra adventure to your next game night. 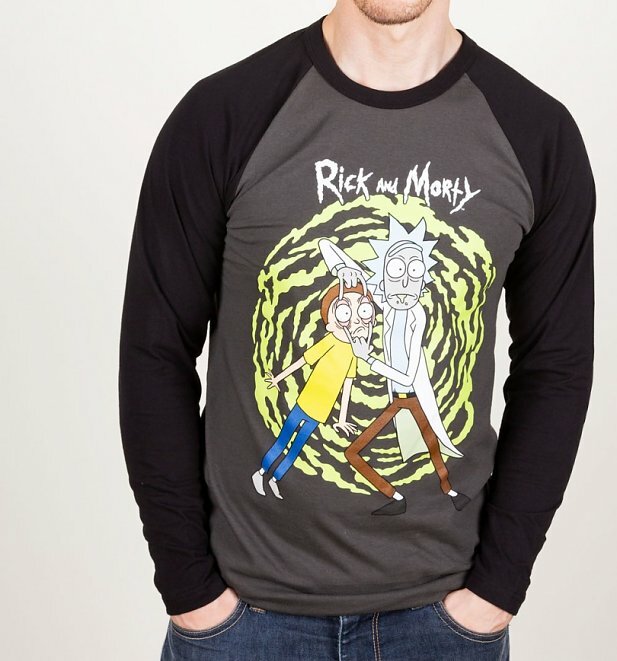 Here at TruffleShuffle, we let the tshirt do the talking and so can you with our Rick and Morty Baseball T-Shirt! the long sleeves are perfect for those cooler adventures and add a whole heap more compfort! As mugs go, this has to be one of our favourite yet! 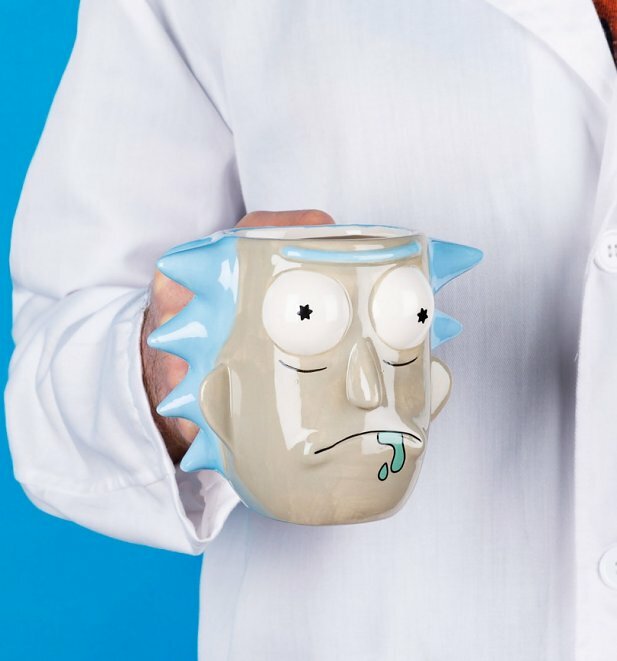 Soooo happy to have our hands on this awesome Rick and Morty Portals Heat Change Mug! Best way to liven up and brew round and an even better gift idea! 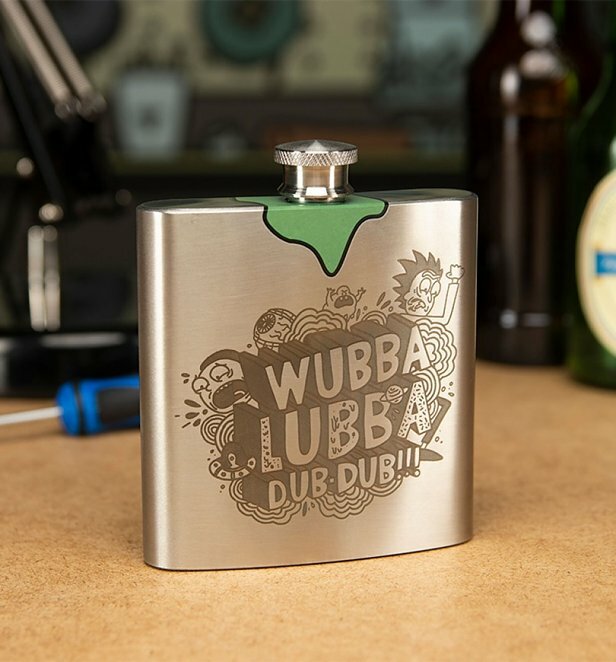 If you’re after a little something cheeky while on your next adventure, just like the man himself, you’d better take one of our new Rick and Morty Rick’s Hip Flasks with you! 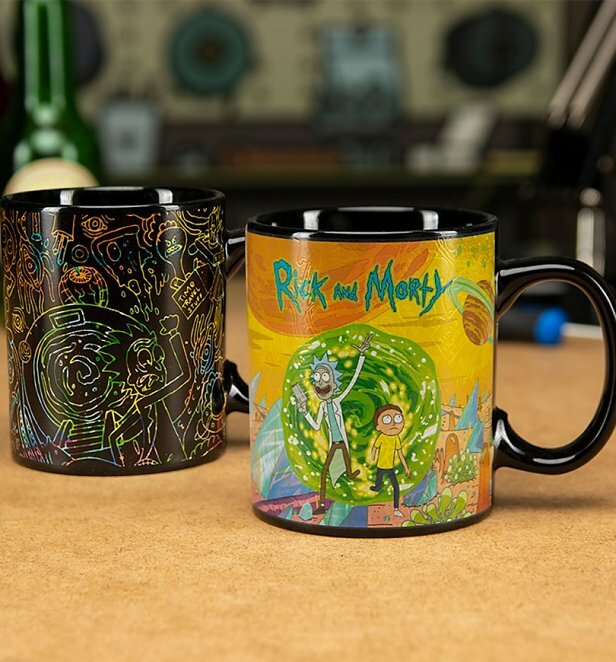 Kick-start your day with an old pal with a whooole lotts help from our Rick and Morty Rick 3D Mug! Totally love the shape and details of this ace mug. Great find for the R&M fan in your life. Tis the season…. to be rocking Rick and Morty! 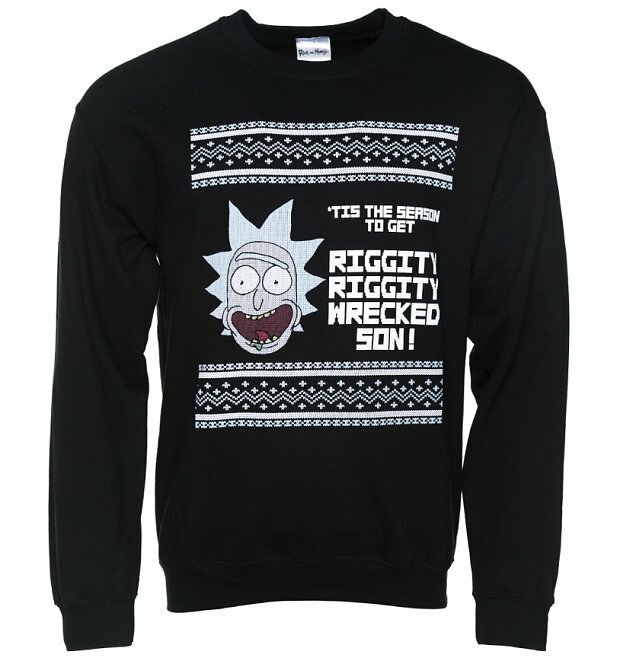 Add some Sanchez shenanigans to your Christmas with our epic Riggity Riggity Wrecked Rick And Morty Christmas Sweater! Nothing beats starting your day with a hot cuppa, right? 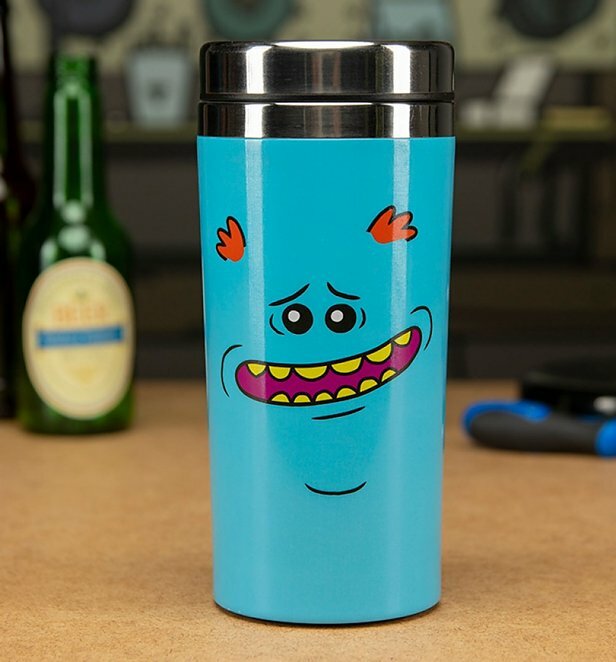 Well, turns out enjoying one in our Rick and Morty Mr Meeseeks Travel Mug might just be a whole lot better! We’re sure a lot of the fans would agree. Phew! We’re tuckered out after all this talk of Rick and Morty adventures! Pretty sure that means it’s time to pop the kettle on and watch a whole load more huh. For all these amazing Rick and Morty Gifts ideas and much more, take a peep over on our site and find the perfect gift for you or the R&M fan in your life. Enjoy!